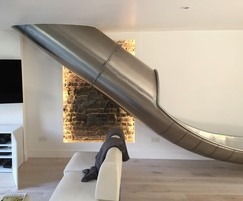 Massey & Harris was approached by a private client refurbishing their East London villa who not only wanted style but funky features with elements of fun. Massey & Harris were approached by a private client refurbishing their East London villa. 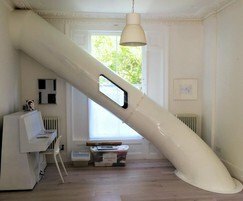 They not only wanted style but funky features incorporating elements of fun. 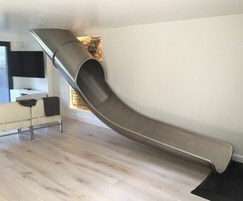 The client wanted a slide to run from the 1st floor, through the ground floor playroom and into the basement kitchen / living area. 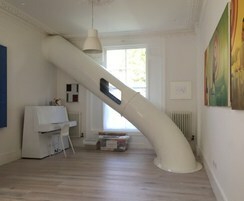 As their home is on a residential street there is restricted access so the design had to fit through the front door. 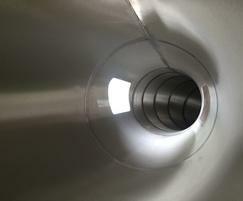 The design needed to fit the confined internal space whilst meeting the client’s expectation and giving them the wow factor they desired. Massey & Harris used all their expertise in solving all these problems to make a design to perfectly fit the space and delight the family. 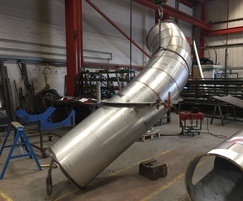 Massey & Harris designed and manufactured the 4.9m-high, 760mm-diameter stainless steel tunnel slide with a 90° bend to allow it to pass through to the ground floor. The design incorporated a dull polish finish to the interior with a powder coat finish to the exterior of the ground floor section, blending in beautifully with the playroom décor. 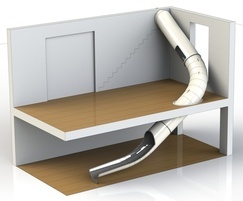 The playroom section of the slide also incorporated 2 polycarbonate windows allowing natural light from the exterior window to pass through the slide into the room. 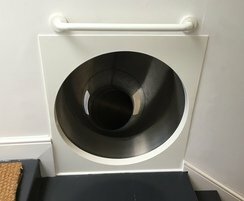 Additionally, the design incorporated a support bracket to go within the floor space so there were no visible support posts resulting in a sleek, aesthetically pleasing slide. 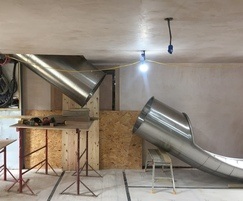 The space restrictions meant there was no room for error so installation was overseen by Massey & Harris to assist the installers in getting it right first time. 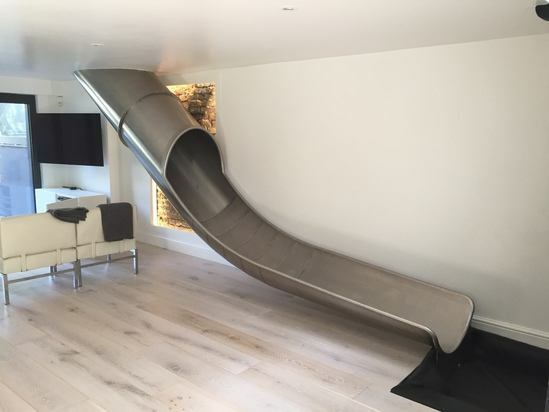 The slide not only enhances the interior of this beautiful, chic home, it also delights the family and adds a fun yet stylish element. 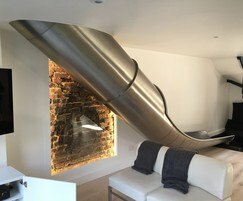 There is even a bell to indicate the coast is clear at the bottom of the slide allowing the next person to whizz down with confidence.